There are different kinds of commercial kitchen appliances required for a burger joint and that can make your work easier as well. Make sure that you must choose the right ones for your joint as well. Are you going to start a burger joint of yours? Burgers are one of the most popular fast food and there are many people who aspire to start a burger restaurant to get a lot of revenue. Nowadays if we say about fast food then this is the name which definitely comes first in our mind. So, if you have already made all your plans for the burger joint then the next most important thing for any such joint to opt for commercial kitchen appliances. You really need a lot of equipment to make a joint successful. The primary thing which you need to look is preparing of the requirements which we need for our joint. Definitely, burgers will remain to be incomplete without meat and thus, you definitely need some preparation related to meat to make your burger taste excellent. A commercial meat slicer in a burger this is the most important thing in any burger joint and also electric counter top model might also fit your budget. After you have your meat grounded as per the necessity you call surely able to start making those yummy patties. You might take a lot of times to make such kind of patties in a perfect shape and also so many. Thus, you can buy a commercial burger patty press to make your work easier. It’s very common catering equipment in India. 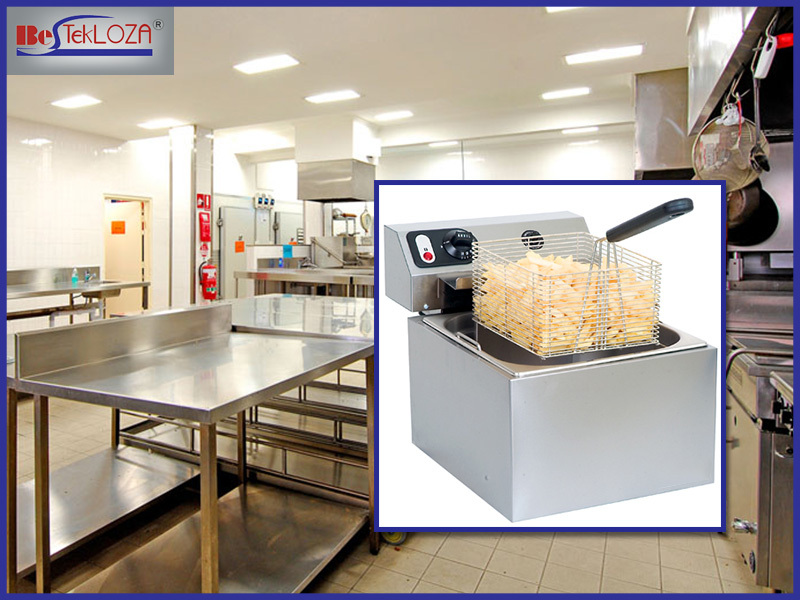 It will provide your patty a perfect shape and they are surely a recommended equipment to include in your restaurant. Once you have assembled all kinds of equipment the next important step is to cook it. As you know that the commercial equipment actually comes in both electric as well as gas models so you must choose it according to your preference. Obviously, your burger patty needs a bun also and before serving it you need to toast the bun as well. A commercial toaster thus is also required as it will provide the bun with that perfect toast. Obviously, you can’t just forget about those yummy fries which come as a compliment with a burger. Definitely, you need to hold a commercial fryer and other fryer accessories as well. These frying accessories come also in counter top models or as well as free standing. You can avail either gas or electric models. Equipment which you can’t miss out is having a commercial kitchen prep table that will enable you to prepare those burgers or any other kind of foods you like to serve. It is essential that in any restaurant commercial cleaning equipment is a must have so that you can put all the debris in that equipment and keep the kitchen clean. One of the best things which you can opt for is commercial kitchen dishwasher that can come in different kinds of style. Make sure you buy a dishwasher that able to be space in your kitchen.